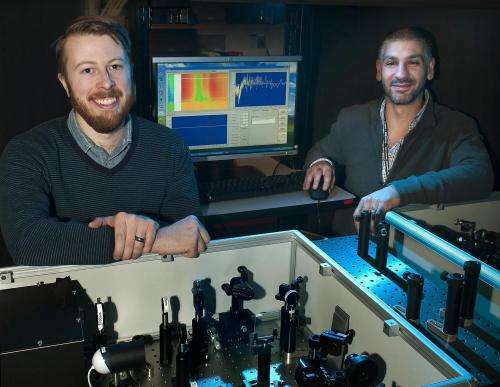 "Critically, we show how this multiplication process can be made efficient on a single molecular polymer chain," said physicist Matthew Sfeir, who led the research at Brookhaven Lab's Center for Functional Nanomaterials, a DOE Office of Science User Facility. Having the two charges on the same molecule means the light-absorbing, energy-producing materials don't have to be arrayed as perfect crystals to produce extra electrical charges. Instead, the self-contained materials work efficiently when dissolved in liquids, which opens the way for a wide range of industrial scale manufacturing processes, including "printing" solar-energy-producing material like ink. If we covered the massive Containment vessels of the nukes, we could make them actually productive, . . with NO high-level waste! The owners of Rancho Seco closed their nuke and replaced it with conservation and PVs. he owners of Rancho Seco closed their nuke and replaced it with conservation and PVs. And a 600 MW gas-fired plant to actually make the electricity. I think Eikka should look into the alternative energy and conservation programs of SMUD. I did the last time you started ranting about the Rancho Seco. The nuclear powerplant was 913 MWe with a 39% average capacity factor, which is approx 360 MW actual average output. After the plant was taken offline and dismantled, the site was built with 3.2 MWp of solar PV with a capacity factor of approximately 14% which is approximately 0.5 MW actual average output. In other words, about a thousandth of what the nuclear powerplant provided even when it was malfunctioning half the time. The missing power was actually bought from neighboring utilities at a higher cost. Then in 2006, PG&E started the 500 MW gas powered plant just a couple miles south from the old nuclear plant. Then in 2010 they started another 660 MW gas powered plant in Colusa County. Meanwhile, from the 3.2 MWp of solar PV they installed in 1986, PG&E has expanded to about 100 MWp, with an average actual output around 15-20 MW. These figures are relatively hard to come by because the utilities and organizations are curiously averse to publishing any actual figures on their websites. They only talk of powering so and so many homes, or percentages of something which includes all the power they buy out of state as well as the old hydroelectric plants they've owned since the 1960's. The truth of the matter is that the vast majority of renewable power the SMUD or PG&E has is old high head hydro. It's "always" been there, and they're just now started to use it to stuff their portfolio to make it look more impressive. Note: calculated out of supplied annual total energy. And so forth... so what was the point you wanted to make about the alternative energy programs, gkam? The point is they have already captured much territory from coal and nukes, and gas will be our bridge to greater penetration of the technologies. You may not be aware of the typical life cycle of power plants, but they are long-term affairs. But you can put your money where your mouth is, and buy into the nuclear and coal plants now being spun off in Europe by their owners and operators. I wonder which nukes will be the next to close. They are acknowledged monsters and such huge liabilities utilities now need government-guaranteed loans for the taxpayer to pay when they go belly up. Keep your eyes on the two Votgle plants in Georgia. They are the Edsels of the nuclear business, and perhaps the last of nuclear power in the US. Let's face it: Using 3,000,000 degree Neutrons to boil water is ridiculous! Let's look to that hotbed of radical leftist thought, Forbes, to see what the future looks like for nuclear power.